Do you think your child might be autistic? 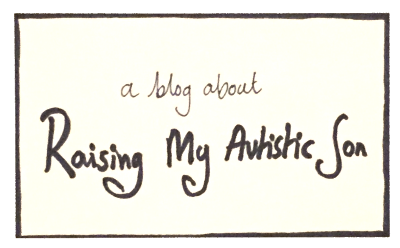 “Do you think my child could be autistic?”, is a question I’ve been asked on a few occasions over the past nine years since I officially became a mother of a child on the autistic spectrum. I usually start by asking, “What makes you think they might be?” and find out where their story takes me. In cases where it becomes clear that their child is displaying many autistic traits I recommend that they seek an assessment from qualified professionals to find out more. However there can be huge barriers to getting an assessment. Sometimes only one of the parents wants to pursue an assessment. The other parent either doesn’t recognise any problems or feels there’s no need to make a fuss. Sometimes there’s a belief that the child is just a bit slow to develop and they will grow out of “it”. However autism is a lifelong neurological condition … I’m as likely to become a 6 ft supermodel as my autistic son Edward is to become a neurotypical teen. Not going to happen. Ever. Other times someone in the family feels very strongly that a diagnosis of Autism would be disastrous for the child, They may believe that a label of autism will stigmatize the child and lower everyone’s expectations of what the child can achieve. I’ve also come across situations where a parent knows that their child is struggling and displaying many autistic traits but because their child is skilled at putting on a good front at school their teachers dismiss the idea that the child could have autism. Sadly many parents have been gaslighted, being told that improving their parenting skills will resolve all of the issues they describe. Other times school staff can see perfectly well that a child is displaying autistic traits but the families do not want to pursue an assessment and so nothing happens. 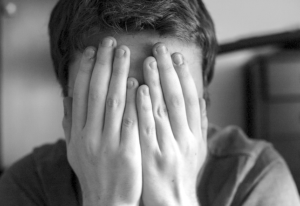 What is it about autism that causes such strong reactions? We don’t seem to get as hung up about assessing children for dyslexia or dyspraxia. Someone I know who has concerns that their young daughter might be on the autistic spectrum was told by the pediatrician that there was no need to assess her for autism because she was managing reasonably well at the moment. I was appalled when I heard this. I presume the pediatrician thought it was only necessary to assess for autism if a child had reached some kind of crisis point. Is this reluctance to assess simply due to a squeeze on resources or is there a fundamental idea that a label of autism will hang around like a bad odour for life? Is autism still viewed as an entirely negative condition to be be feared? Is there an assumption among some parents and professionals that it’s best to avoid the label of autism if you can get away with it? When Edward was assessed for autism we had not reached a crisis point. I am so grateful for that. Sure, he was having trouble making friends and this made him feel sad sometimes but mostly he was a perfectly happy little boy so long as he had enough time to dedicate to his special interest (dinosaurs), knew what the plans were for his day and didn’t have to share his bricks with anyone else. He was not in crisis and nor were we. We were puzzled though because his behaviour was so odd at times. We wanted to help our son with his struggles as much as any other parent would want to help theirs. I’m so glad I pushed for an assessment. Getting a diagnosis was a very important and positive step for us and in particular for Edward. As a nuclear and wider family we grew in patience and understanding towards Edward and we slowly learned how to make little adjustments so that family life worked better for all of us. More importantly than anything though was that Edward had an explanation for why he found some things more challenging than other people. Knowing from the age of 8 that he has Aspergers has meant he has grown up understanding that his strengths and his weaknesses are part and parcel of his autism and he is totally fine with this. I’m incredibly relieved that he didn’t have to experience a crisis in order to access an autism assessment. Sadly too many autistic teens are in the position where it is only through having a mental health crisis that they start the long assessment process and eventually discover that they are autistic. Teenage years are challenging enough without finding out that you have an underlying lifelong condition that means that you are always going to be a bit different from most of your peers. As for the idea that having a label of autism will result in everyone lowering their expectations about what a child can do all I can say is that this has not been our experience. Edward has done things I would never have had the guts to do when I was his age. He has areas of strength with regard to his memory and intellect that are exceptional. His autism does not hold him back. Having an official diagnosis has also helped provide us with more gravitas when advocating for reasonable adjustments to be made in school. Theses adjustments have made a positive difference to Edward’s experience of school over the past few years. If you are parenting a young child who displays lots of autistic traits then I would encourage you to push hard for an assessment even if in many respects they seem to be managing well at the moment. If you are not sure whether your child displays many autistic traits this article by Ambitious About Autism will help. Diagnosis before Crisis is better for your child, better for you and better for society. A related post you might want to read is How Mentally Unwell Does my Child need to be before they get an ASD Assessment?